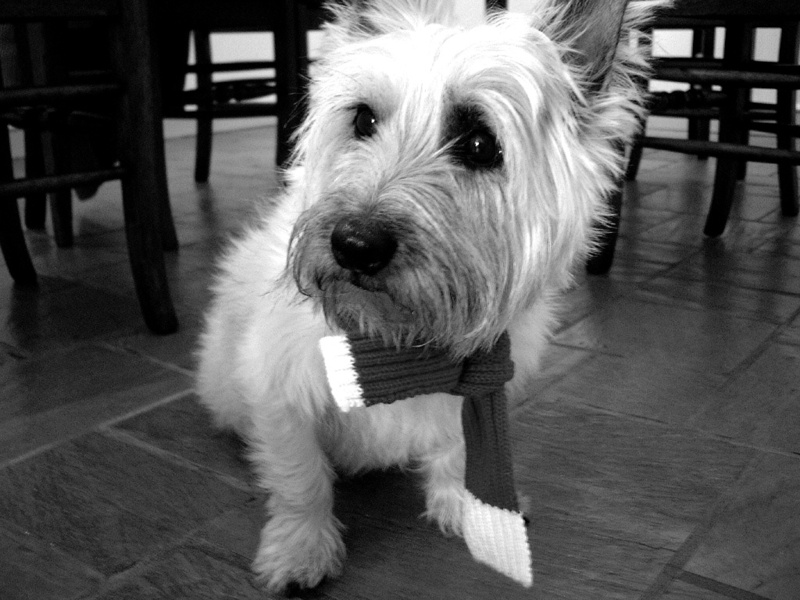 This is a photo of our Magnificent M, our first Cairn and the first dog I adopted from a shelter. He had been returned twice for having a less than stellar temperament, but when we met, I got the feeling that we were going to get along just fine. It wasn’t even really a decision on my part — his whole attitude seemed to be “let’s get out of here…we’ve got better things to do”. M was a part of our family for over 13 years and I wish I had another 13 with him. He most certainly had his issues, but I kept him safe and happy and he returned the favor with unfailing love and general Dog-ness, which is a pretty wonderful thing. So what can I say that I haven’t said before? Adopt and change a few lives for the better. You are currently reading Adopt at Some Cozy Night.